PLEASE READ OUR TERMS CAREFULLY BEFORE USING THIS SITE. We’ve written our terms in language real people can understand, but that doesn’t mean they’re any less binding. 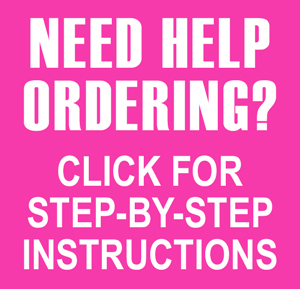 This site is owned and operated by DollStuffbyJana™, a dba of Sunrise Designs®. Our patterns are protected by U.S. Copyright Law and our designs are Patent Pending. We may change anything on this site at any time and without notice. By using this website, you agree to be honest and fair. We follow the laws that are applicable where we live—in Utah, United States of America. You are responsible for following laws that may apply where you live. No Cheating: Some of our products are digital downloads. Please do not participate in digital piracy by sending the files to your friends. Product Reviews: This site allows product reviews. We expect our customers to be both honest AND polite. They are not mutually exclusive. Feel free to tell us what you liked or didn’t like, but no abuse and no spam, please. Reviews must be approved by us before they display on the site. This may take a few days, but if you follow our guidelines, your review will be approved—even if it’s not a stellar endorsement. All product, videos, promotional images, text, and other items on this site are protected by U.S. copyright and trademark laws. No copying, selling or sharing without permission. Promo stuff: Feel free to use any of the images and/or text from this site on your blog, but please link back to us at www.dollstuffbyjana.com or the individual product page. Note: If you insist on sharing, our Pattern Sharing Fee is $1,500 per pattern per copy/person. If we discover you’ve shared patterns without our written permission, we will send you an invoice and turn the account over to a collections agency. In addition: You may not modify the patterns and ideas and re-sell them with your own name and logo on them. If you wish to make items and sell them, please contact us for a commercial license agreement. Read more on our sharing policy here. From time to time, DollStuffbyJana.com may offer discounts or free downloads of various products. These discounts and offers may be changed and/or discontinued at any time, without notice. In practical terms, visit us often and sign up for our newsletter so you won’t miss an awesome sale! We love our products and think they are totally awesome! We thoroughly test our patterns and products before offering them for sale. However, we can’t guarantee that they are perfect for every customer. This is a good faith effort on our part. Our products and tutorials are provided “as is.” We keep our instructions as accurate and up-to-date as possible, but a little common sense and care goes a long way. If you prefer to read the legal version, click here.